The B3 generation Audi 80 was sold from in 1986 through 1991 as a sedan, coupe and cabriolet. The coupe version dropped the 80 nomenclature in 1988 and became known simply as the Audi Coupé. This generation of Audi Coupe isn't quite as iconic as the original Ur-Quattro, but it offers better drive-ability and ergonomics for a better price. 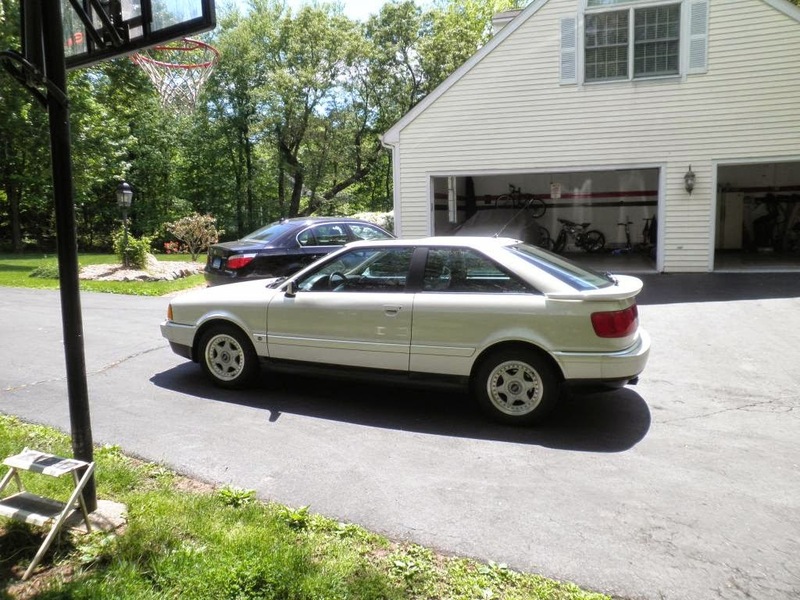 Find this 1991 Audi Coupé Quattro 20V offered for $8,500 via fourtitude.com forums. Seller submission from Danny. I truly and honestly believe this is the best CQ left in the US. 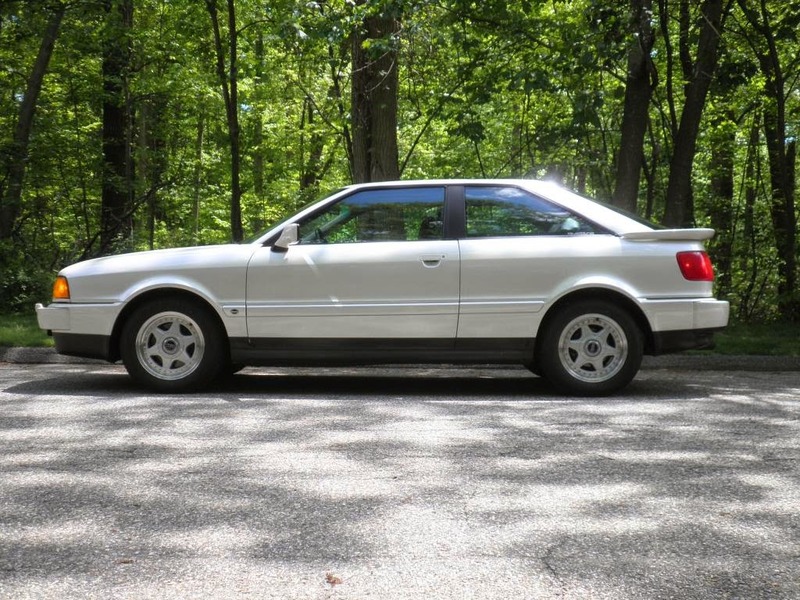 While the mileage (88k) may seem high for a normal car, a quick search on audifans.com (The best place to find a Coupe) reveals just how clean, well-kept, and low mileage my example is. Buyers will struggle to find a Coupe in such impeccable condition, and for that reason, I'm going straight to you guys with it. Can't argue with that kind of logic...right!! Clean and impeccable condition classics get DT's Instant Seal of Approval (TM). 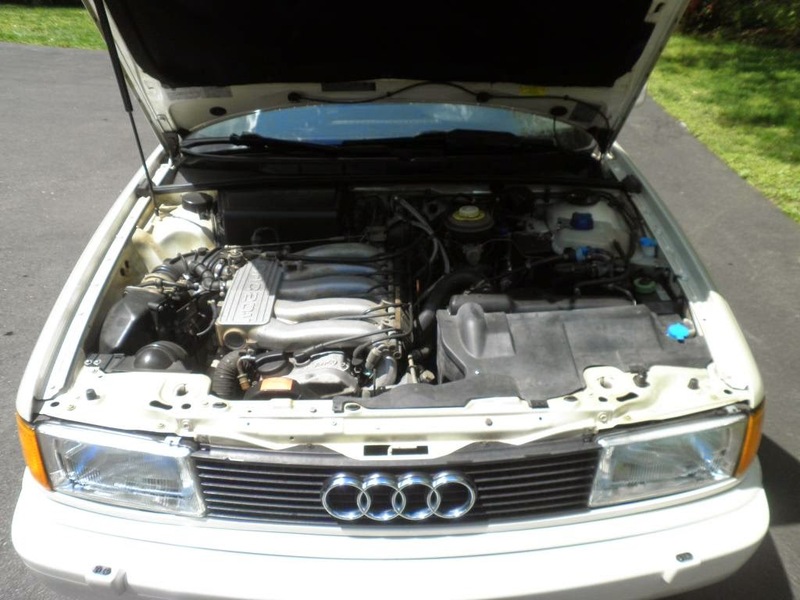 Under the hood is one of those classic 90s Audi layouts, where an impossibly long inline-5 cylinder engine is shoved to one side while the radiator is shoved to the other side. At first glance it looks odd, but to any Audi lover it is a welcome site compared to the more modern plastic shrouded mystery boxes hiding V6s that require constant dealer trips. This view shows what it would look like as a child if you had the coolest parents in the early 90s. Instead you were probably riding in the back of some awful Dodge Minivan, or (like me) old enough to get your own wheels and/or hitchhike. 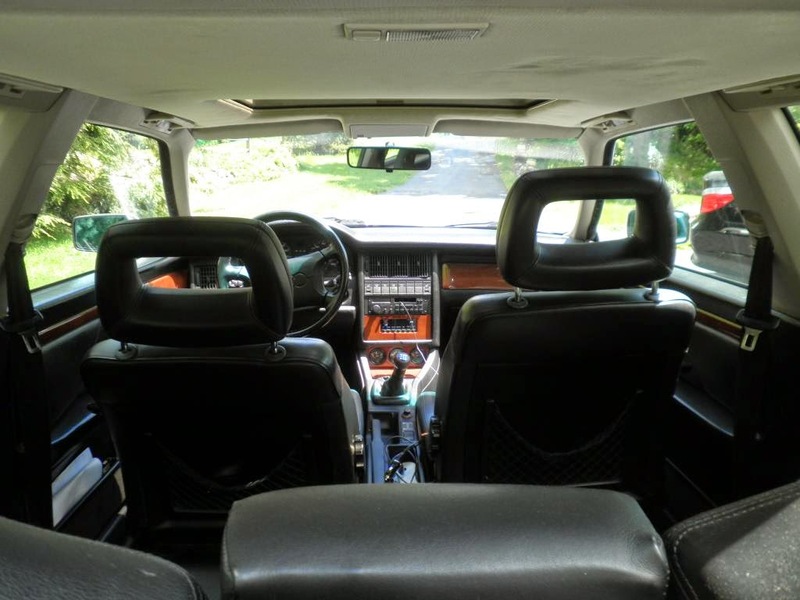 The seller includes a pretty detailed walk around and drive-around video that is worth the 10 minutes if you are interested this kind of car or like to listen to a non-professional do a great job at a live single person play-by-play. It is harder than it looks folks!! The seller can be reached via email at 190e30@gmail.com -- note: If you are reading this in the year 2045, Danny has long ago sold this car and is probably flying around in a personal rocket pack by now, so please don't try and email him. Furthermore email has been outlawed by the 2041 Internet Fairness Act sponsored by senators Zuckerberg and Moskovitz that requires all internet communication be done via Facebook. I've always loved these, but I remember test driving one when it was new back to back with a 1991 VW GTi 16v (with the 134hp 2.0L engine). Because of the weight difference, the superior acceleration of the GTi was startling (most car publications of the time had the Audi in the high 8's to 9 second 0-60 range). If they had released a limited run of the S2 over in the US, I truly think it would eclipse the ur-Quattro today in terms of resale value and collectibility. Good luck to the seller though, very cool car. "They call him Flipper, Flipper, Flipper. Faster than lightning." The NA 20V stick-shift Quattro is the perfect combination of economy, reasonable reliability, and a great driving experience. The only drawback I see is it appears to have some deferred maintenance. If this was your baby I am sure the emergency brake cables and air conditioning would have been attended to. That said, at least the seller was upfront about it. If I did not have 5 vehicles (includes 2 Audi type 44's) I would be on the phone negotiating with the seller now.